Oprah Winfrey is popularly known for ‘The Oprah Winfrey Show’. Her day time talk-show aired for 25 years and was wildly successful worldwide. Oprah is a media mogul and philanthropist. She has been titled with “The Queen of Media”. She is North America’s first female black multi-billionaire. She is a self-made billionaire. Her story is not just rags-to-riches but from potato sacks-to-riches. Her childhood was so poverty stricken that she wore dresses made of potato sacks. In early years, she was ill-treated, bullied and had to resettle many times. 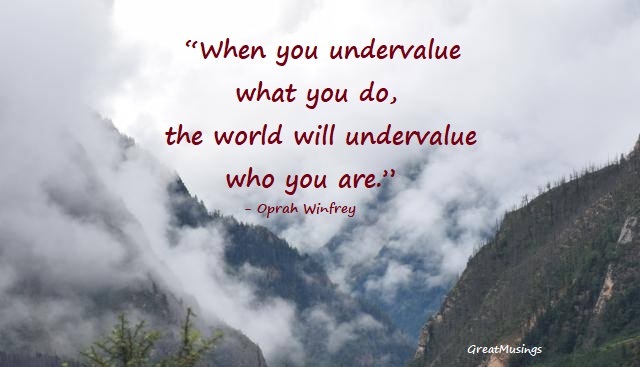 Oprah Winfrey turned her wounds into wisdom. She recognized the hardships she faced in her life and transformed it into an inspiration for everyone. She used her expertise of self-learning and oratory skills in her line of work. Many times she was at the top in the list of ‘The Most Influential Woman in the World’. She was awarded with the Presidential Award of Freedom in 2013.